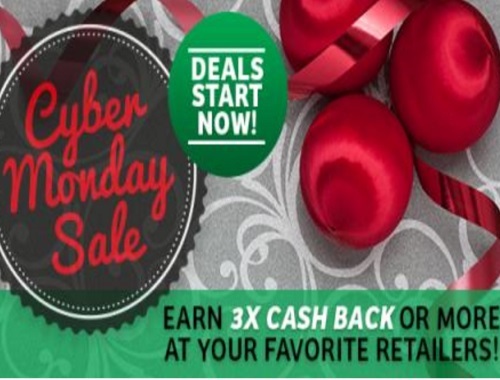 Looking for the best deals on holiday shopping this Cyber Monday? Swagbucks is offering increased cash back from stores like Amazon, Walmart, and Best Buy and get cash back or gift cards to your favorite stores! Swagbucks will also offer amazing one-day deals to try out new products and services, earning you even more free gift cards. Just for signing up through me at this link, you can earn a 300 SB bonus if you earn 300 SB before December 1 - if you spend at least $25 shopping through Swagbucks during that time, you'll get another 200 SB bonus!